Our ethos is to actively promote the fundamental British values of truth, justice, mutual respect and tolerance. We aim to prepare students for life in modern Britain and create responsible members of a local, national and international community who promote equality and respect and understand the value of our environment and its future. Our aim to develop self-awareness and tolerance towards others with different cultures and beliefs is clearly evident through our programmes of study, which seek to reduce and challenge all forms of prejudice and discrimination. We encourage students to express their opinions in the true spirit of British democracy and to challenge false stereotypes. 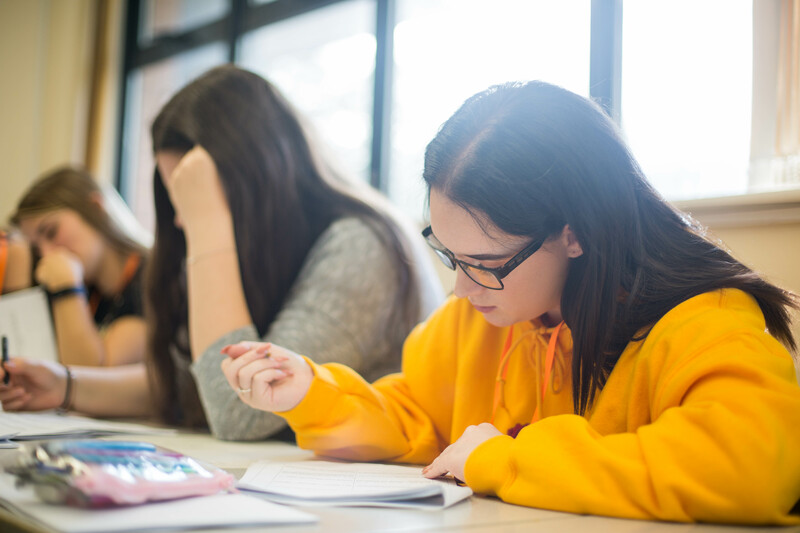 Students are given the opportunity to develop their self-esteem through discussions and opportunities to express their ideas in a safe environment. By looking at the link between beliefs and behaviour students can also take responsibility for their behaviour and realise that their actions have consequences, both for themselves and for others in the community (school, local, national and global). Democracy as a key British value is studied through Citizenship and students are aware of their role in a democratic society. The legal rights and responsibilities of individuals are discussed and the role the law has in protecting society and on a wider scale the UNDHR and ECHR are also used to link with issues across the world.